This maritime wall art is an oil painting of the tubs on the Door County inlet. Painted on 12″ x 16″ canvas board in oak frame. We vacation in Door County occasionally. We bike from the campground to this spot in the Door County area to watch water traffic like these powerful tugs whose reflections waver across the inlet. 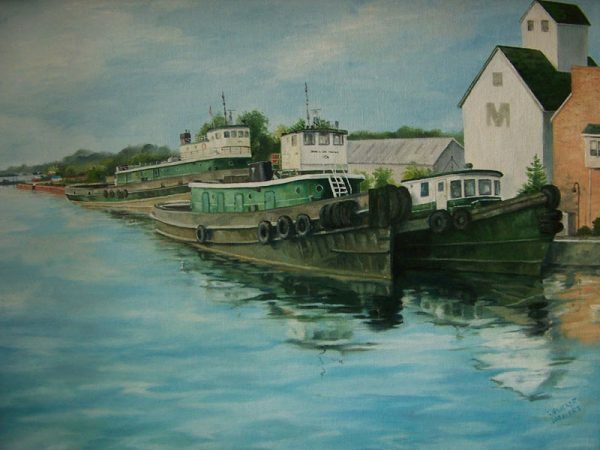 Wall art like this waterscape featuring the tugs on Sturgeon Bay would fit well among any maritime decor.